Satisfactory Academic Progress (SAP) is the process used to determine if a student is making acceptable progress toward a degree or certificate. The federal government and New York State government each measure SAP differently. Withdrawing from individual courses or from the entire semester can have significant financial implications. Students are strongly encouraged to speak to the Financial Aid Office before withdrawing to discuss the ramifications. Billing Liability Deadlines » IMPORTANT: Students may remain liable for charges even if they have withdrawn from some or all courses.  The AAC serves all Buffalo State students and carries a primary responsibility for serving undeclared students. We pair students with dedicated faculty and staff advisers who work with you several times each semester to help you consider course registration, possible programs, potential careers, and how to negotiate any difficulties you may encounter along the way. (716) 878-5811 The Career Development Center assists students and alumni with career exploration and decision-making, gaining valuable experience, job search preparation, finding jobs and internships, and selecting and applying to graduate schools. (716) 878-4436 Provides counseling and mental health services to assist students. (716) 878-6711 Weigel Health Center provides health and wellness services for all registered students. (716) 878-4500 The Buffalo State College Accessibility Services office provides access and support for students with disabilities. (716) 878-3655 Offers an array of free services to assist students throughout all stages of the writing process. Tutors are available to help students with brainstorming, drafting, revising, editing, and other writing needs or questions.